December 2018 is over. 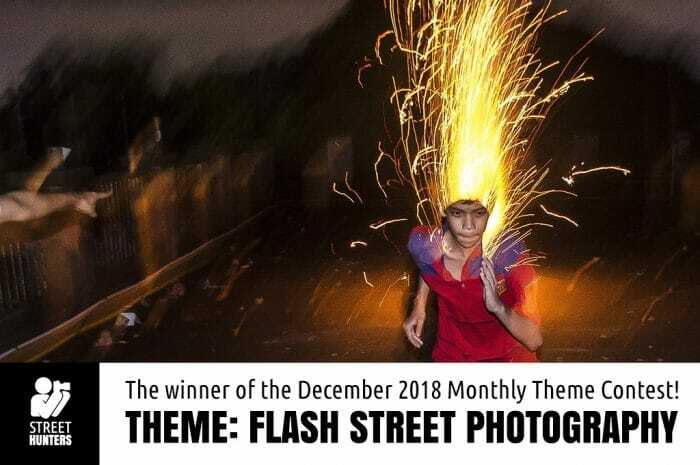 It is time to announce the winner of the December 2018 Street Photography Contest! 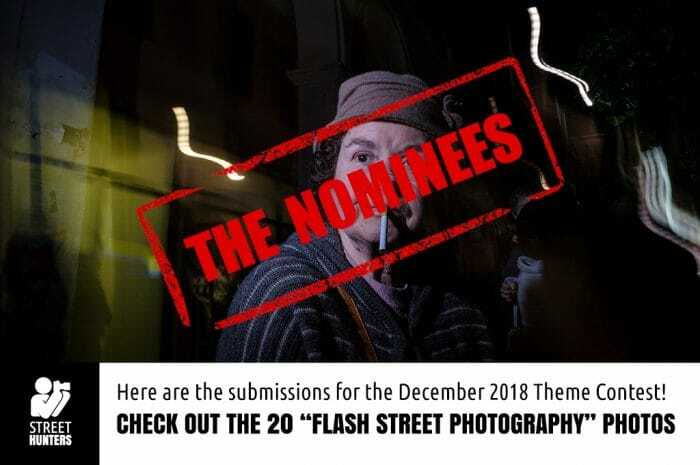 The theme of the contest was “Flash Street Photography” and we had asked you all to send in photos with examples of street photos shot with a flash. You responded by sending in a whole bunch of photos! Thank you all for submitting your work! So, the lucky winner of the December 2018 Street Photography Contest is Ayanava Sil and this is his photograph. The twelfth and last Monthly Theme Contest photos for 2018 have been submitted and we have made our choices. 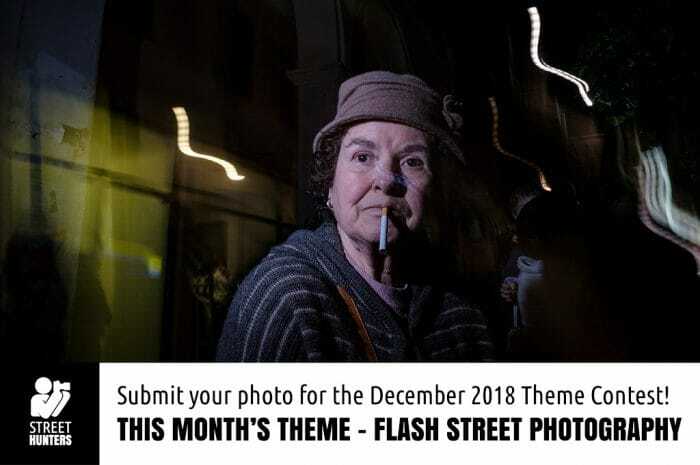 Please keep in mind that the process of choosing a photo from the December 2018 Street Photography Contest Submissions was not easy! ATTENTION: The photos that didn’t meet the Theme or the Editors criteria were not chosen to be in the shortlist. They have been disqualified or removed. If your pic isn’t in the shortlist, don’t get discouraged. 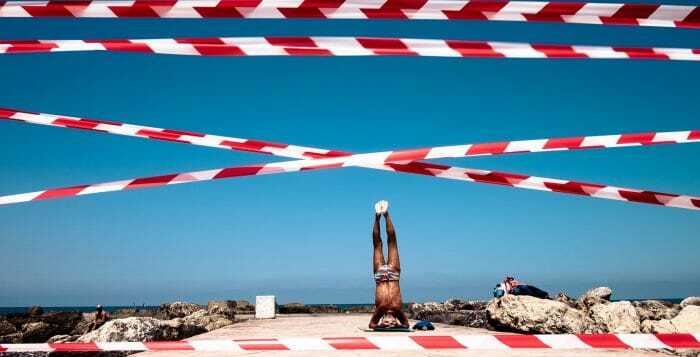 Try again in one of the next Street Photography contests! At this moment I would like to thank each and every participant for submitting their“Flash Street Photography” photograph. We have a collection 20 valid submissions which can all be seen below. November 2018 is over. 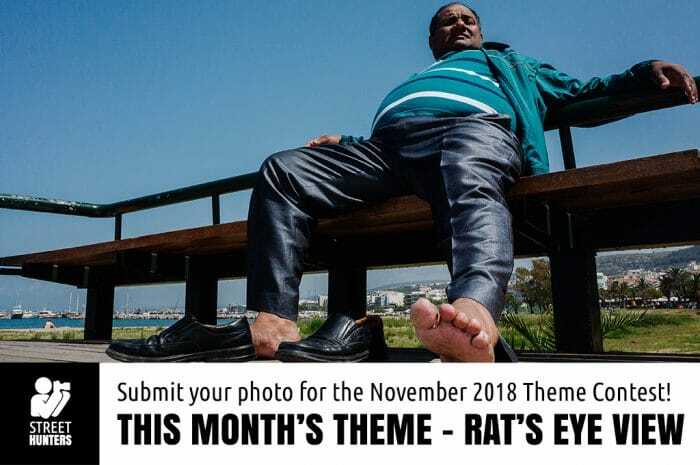 It is time to announce the winner of the November 2018 Street Photography Contest! 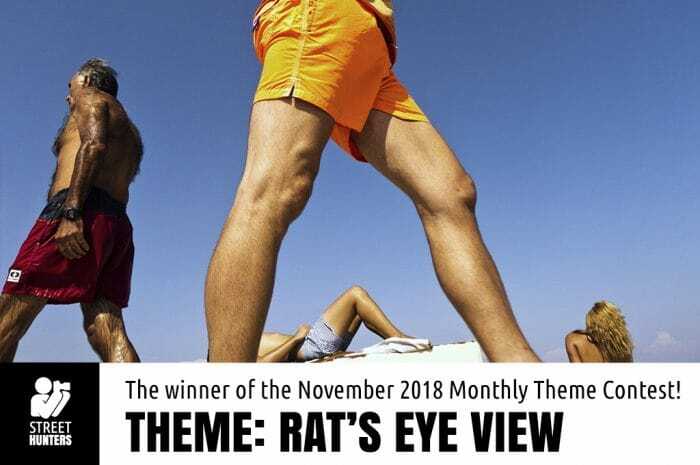 The theme of the contest was “Rat’s eye view” and we had asked you all to send in photos with examples of street photos shot from ground level. You responded by sending in a whole bunch of photos! Thank you all for submitting your lovely work! So, the lucky winner of the November 2018 Street Photography Contest is Markos Kyprianos and this is his photograph. The eleventh Monthly Theme Contest photos for 2018 have been submitted and we have made our choices. Please keep in mind that the process of choosing a photo from the November 2018 Street Photography Contest Submissions was not easy! 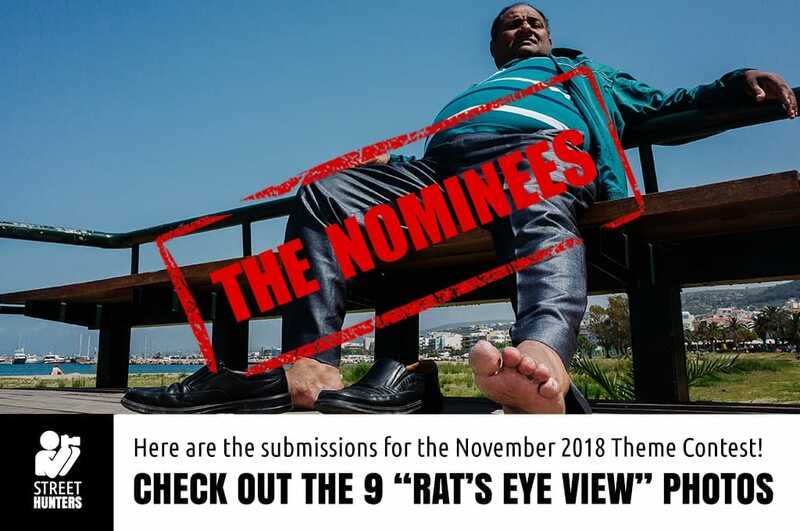 At this moment I would like to thank each and every participant for submitting their“Rat’s Eye View” photograph. We have a collection 9 valid submissions which can all be seen below. 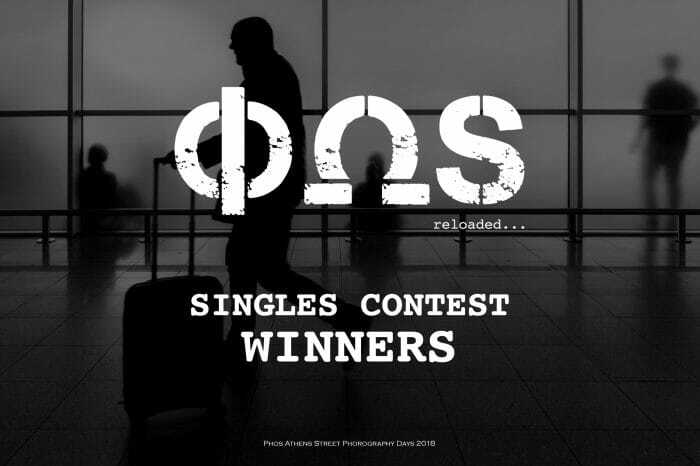 It is time to announce the winners of the Phos Athens Street Photography festival Singles Contest! 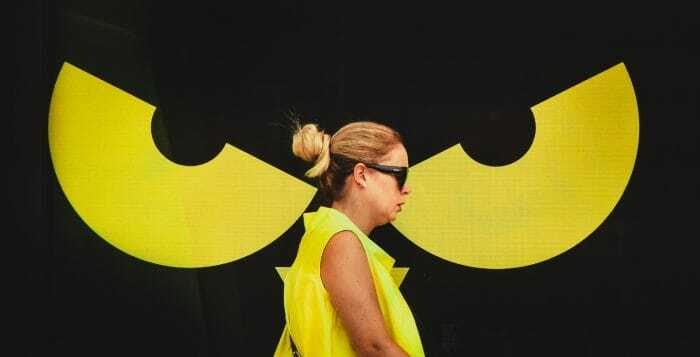 This contest is part of the Phos Athens Street Photography Festival. Before that, we would like to thank you all for participating. The number of submissions was overwhelming! 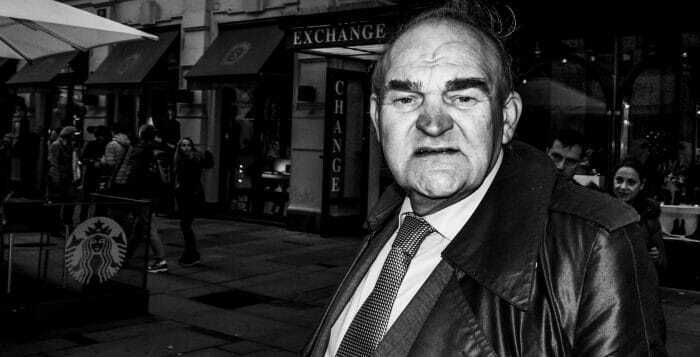 The Street Hunters Editors, Andrew Sweigart, Digby Fullam and myself rated each photo with a number from 0 to 5 . The photos with the most points earned first, second and third position. The TOP 20 finalists, have already been shared on our Facebook page. So, the next step is to present you with the winners! It is time for the Monthly Theme Contest for November 2018! The Monthly Theme Contests are a fun challenge for all! Every month we choose a Theme and we ask you to participate by each sending us one Street Photograph each time at streethunters.net@gmail.com. 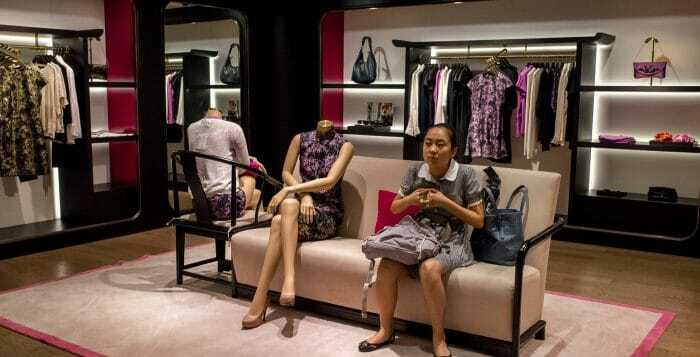 That photos must be based on the Monthly Theme. 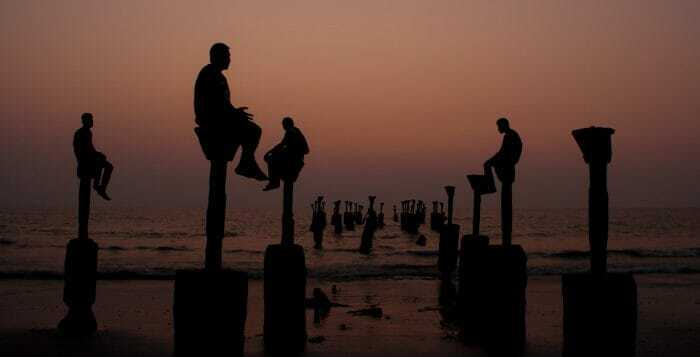 So for example if the theme is Silhouettes, then we would like you to each send a photo with a Silhouette moment. Your photo can be taken any time in history, we don’t mind, as long as it has been taken by you and nobody else. This month we would like to ask you to participate with Street Photos of “Rat’s Eye View”. We would like you to send in street photos shot from a very low perspective. Dig up your best shots or go and hunt for some news ones! Please send in clever photos . We look forward to seeing what you will send in! October 2018 is over. 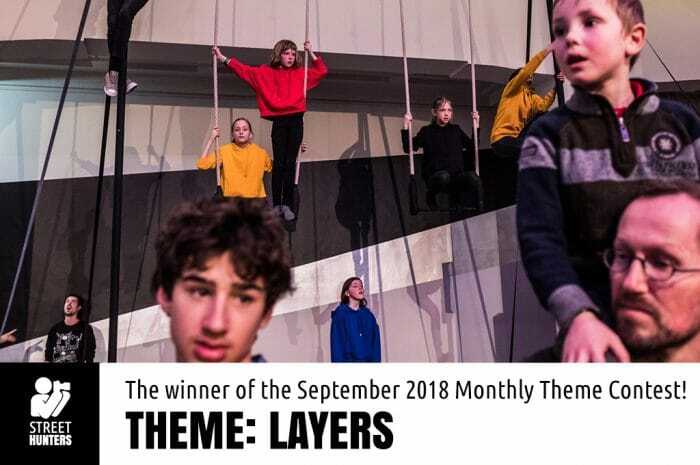 It is time to announce the winner of the October 2018 Street Photography Contest! 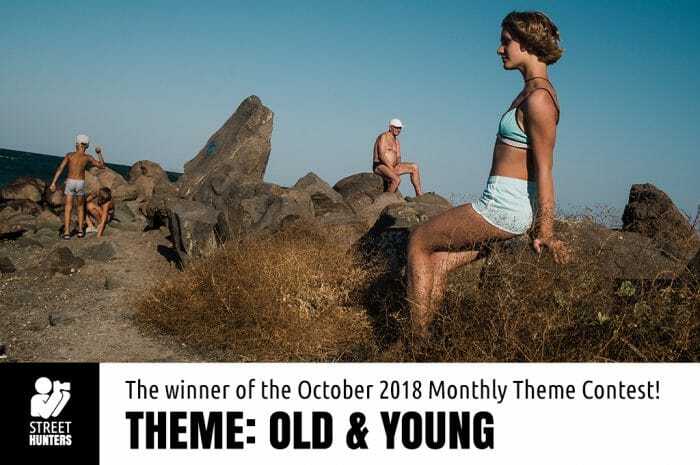 The theme of the contest was “Old & Young” and we had asked you all to send in photos with examples of street photos showing someone(s) old and young. You responded by sending in loads of photographs! Thank you all for submitting your lovely work! 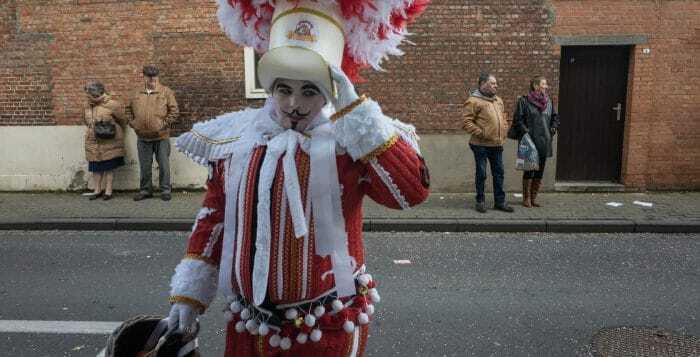 So, the lucky winner of the October 2018 Street Photography Contest is Penko Skumov and this is his photograph. The tenth Monthly Theme Contest photos for 2018 have been submitted and we have made our choices. Please keep in mind that the process of choosing a photo from the October 2018 Street Photography Contest Submissions was not easy! 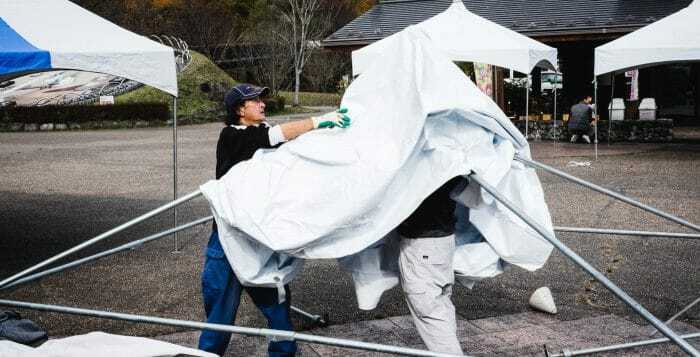 At this moment I would like to thank each and every participant for submitting their photograph. We have a great collection of photos with “Old & Young” to show you! This time we had 20 valid submissions which can all be seen below.